Calaméo - Relationships: Is Family Conflict Always Bad? Relationships: Is Family Conflict Always Bad? Are you fed up with conflict in your family? Do you want everyone to have peace? 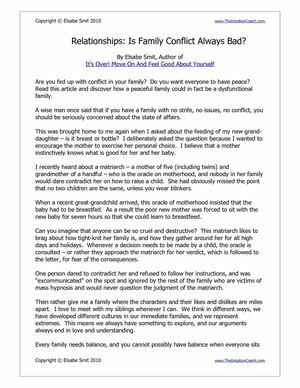 Read this article and discover how a peaceful family could in fact be a dysfunctional family.